The messages left on a cellphone were chilling. “I'm gonna crush up some of these pills since she decided they can stay longer and kill their baby,” Sarai Rodriguez-Miranda, then 18, wrote Jan. 12 in a text to her boyfriend on a cellphone she and her mother shared. Her mother, with whom she lived, discovered the messages on their cellphone around 3 a.m., court records said. Rodriguez-Miranda, who was charged this week with attempted murder, was angry that her mother was allowing her brother, his fiance and their 11-week-old daughter to live at the house and stay longer. Rodriguez-Miranda told her boyfriend she'd have no remorse if the baby died, court records said. Later, she wrote him: “omg (oh my god) I forgot to tell you, the bottle is gone ... I know I'm so excited dude. I'm glad it (the presumed death) didn't happen while I was here,” court documents said. Rodriguez-Miranda's plan was to crush Excedrin tablets in a mortar and pestle and put the powder into one of the baby bottles kept in the refrigerator. The baby's mother kept bottles of breast milk there. When Rodriguez-Miranda's mother, the baby's grandmother, saw the messages, she took screen shots of the text messages and went to look at two bottles of breast milk in the refrigerator. The tall baby bottle had a residue at the bottom of the bottle and a greenish-colored ring. The milk was a darker color than the milk in the shorter baby bottle, court documents said. Later in the morning of Jan. 12, the baby's grandmother took the baby and the baby's mother to the hospital emergency room to see whether the baby showed any signs of poisoning, which she did not. The baby bottles retrieved from the refrigerator and the mortar and pestle were turned over to the police. The mortar and pestle had a white powdery substance in it, court documents said. The substance was later identified as containing acetaminophen, caffeine and aspirin, substances in Excedrin. A forensic toxicologist found that the taller bottle tested positive for the equivalent of nine tablets or capsules of Excedrin in 112 milliliters or 3.8 fluid ounces, enough to kill an adult, the toxicologist said, according to court documents. Rodriguez-Miranda, of the 400 block of East Taber Street, wondered in one of her texts what happened. Rodriguez-Miranda's mother instructed her daughter to be at the home to speak to police after the incident. Apparently she had already fled with her boyfriend and was believed to be in Michigan, court records said. A warrant has been issued for the arrest of Rodriguez-Miranda, now 19. 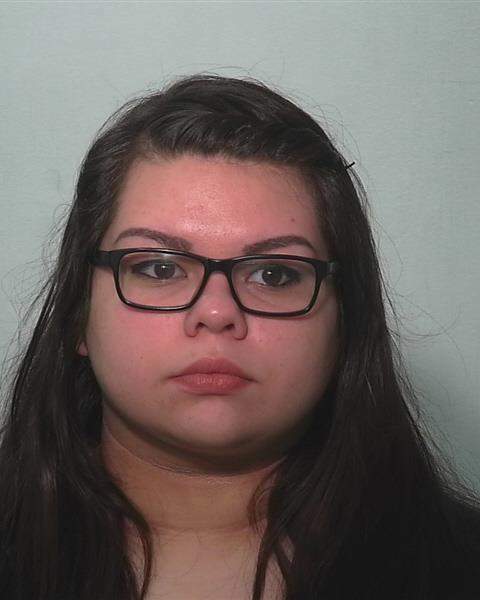 Her bond is $50,000, according to an Allen County Jail spokesman.